The electrical and mechanical wings of the Railways are at loggerheads over the Electrical Inspector General (EIG) safety certificate. Given the intense fight between the electrical and mechanical wings of the Railways over the Electrical Inspector General (EIG) safety certificate, the Railway Board is planning to refer the matter back to the Chief Commissioner of Railway Safety (CCRS) despite already receiving a conditional clearance, IANS reported. Last month, the CCRS had given the go-ahead to run the train at a maximum speed of 160 kmph but 20 conditions had been imposed, including the EIG certification and fencing along the tracks to avoid any accidents. "Safety certification for all electrical systems shall be done by EIG of the zonal railway maintaining the rolling stock and submitted to Commission before commercial operations," the CCRS order reportedly stated. The Railways' electrical department has reportedly refused to come on board till the EIG certificate comes through, but its traditional rival, the mechanical department, which has been at the forefront of developing the hi-tech train priced at over Rs 100 crore per rake maintains that the certificate is not required as per Section 54 of the Indian Electricity Act, 2003. 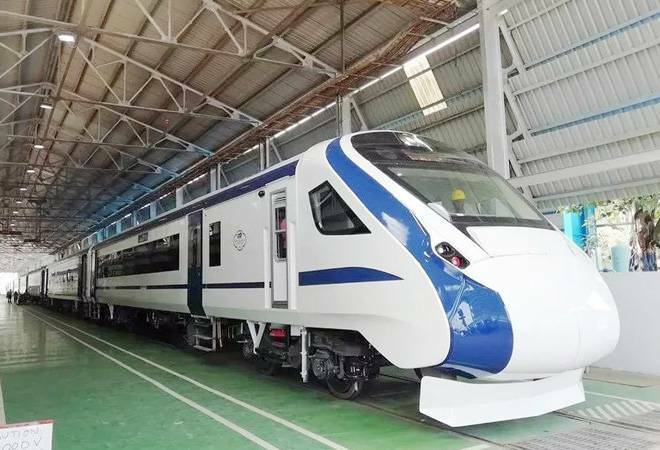 "The Principal Chief Electrical Engineer of ICF has categorically certified the train's safety and no further safety certification is required from EIG as per the law," sources in the Railway Ministry told the news agency. Since the full Board's nod is required for flagging off any new train, the fracas of the EIG certificate has thrown a spanner in the works for Train 18, which was supposed to be flagged off by PM Modi on its maiden run to Varanasi before the Kumbh Mela. However, the Board has powers to overrule the CCRS, as happened in the case of the commercial launch of the Gatimaan Express in April 2016. Though the CCRS had sought fencing of the track between Delhi and Agra before the commercial operations kicked-off but the Board had gone ahead with its launch. History might end up repeating itself if the in-fighting does not get resolved soon.